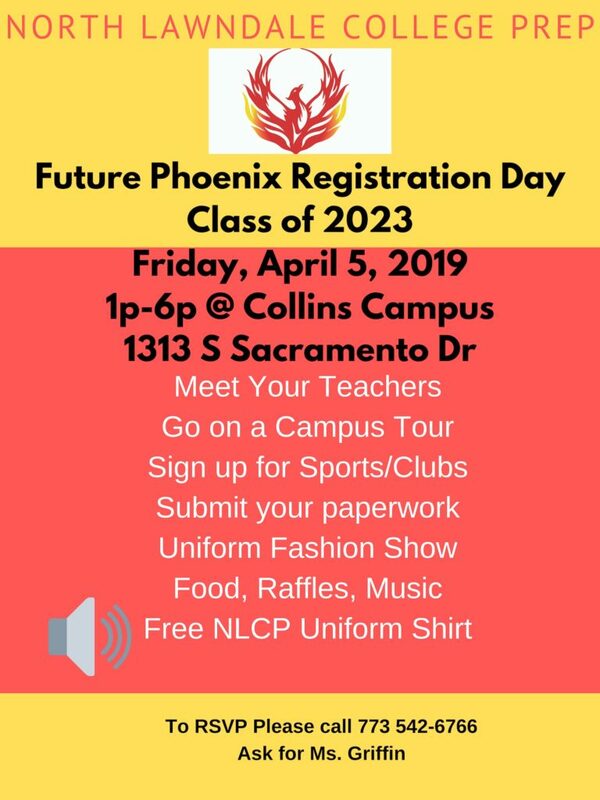 Are you an 8th Grader interested in joining NLCP for the 2019-2020 School year? If you get matched to NLCP – don’t forget to accept the offer before April 11! How do I apply to a North Lawndale College Prep campus? There is no tuition fee to attend. North Lawndale College Prep is open to all students, regardless of race, ethnicity, gender, socioeconomic status, or disability status. For more information, please call (773) 542-6766. Does NLCP only accept certain students? How can I enroll my child in a NLCP School? NLCP believes that all students should be prepared for success in college, the workplace, and life. We firmly believe that the background of our students is not the determining factor in how far they will go in life. That said, all NLCP schools are tuition-free open enrollment, college preparatory public schools. Students must be Chicago residents. 8th Grade students should Rank NLCP #1 in GoCPS. Students who wish to transfer to NLCP for 10th,11th or 12th grade should contact the school directly. Transfer students should come to either NLCP campus and fill out an application with current transcript to start the admissions process. Transfer candidates must have enough credits for the grade for which they are seeking admission.